Another huge day of tennis underway as the tournament is getting to the business end of the draws. Lots of great matches to look forward to during the day so why not pop in and support your club players battling for honors. Rushbrooke Lawn Tennis and Croquet Club. added 40 new photos. Still a small number of spaces left for anyone interested. 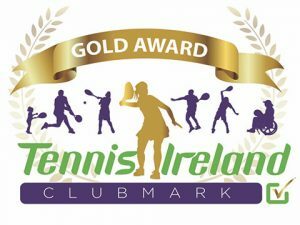 Great news from Limerick Lawn where Erin Perrem has won the Girls Un14 Doubles event. Well done also to Kate Gardiner runner up in the Girls Un 18 singles final. To end the event two more wins with Kate going on the win the Un18 Girls Doubles and Ethan O Brien earlier capturing the Boys Un16 Doubles event. Great stuff Erin. Well done! Well done Ethan. All your hard work is paying off.